About 12 years ago, I began to write at 4:00 in the mornings because of my youngest child’s sleeping troubles. Back then, I was inconvenienced and annoyed. Eventually, though, I realized I had unwittingly stumbled upon the magical time of day to write (for me). My creativity responded to these early morning calls for attention with gusto. I could easily spend a solid 90 minutes on my fiction before the house stirred and I was on Mom duty. Eighteen months passed before my son slept through the night, and I didn’t need to be up at four am anymore. However, because I’d found a beautiful writing block of time, I continued with the schedule, going on thirteen years now. This is my choice. I made this choice and stick with it because it fulfills one of my writing intentions. Making the time to write. As a self-proclaimed Time Warrior, I am the first to say that how we structure our day is largely by choice. True, there are interruptions we cannot avoid, situations we cannot control. Grumpy moods and writers block and non-oomphy story ideas. But most of us choose how our free time is spent. Gaps of time in between duties and responsibilities. Hours in the late evening or early morning. Writing for fun should be treated as such. Stressing out about how often you write or how many words you’re able to jot down in an hour doesn’t really fit the needs and desires of a writer writing for fun. But if you have a story idea that you would like to develop further and share with others, then that will require a bit more of a work standard. Now you are writing with a purpose, to inspire, entertain, and/or inform an audience. Writing with a purpose is not simple. It’s actually scary and intimidating. To successfully write with a purpose, you have to be disciplined. You have to set aside a writing block. You have to know what your story is about. You have to have your tools and equipment in fine working order. You have to do research and understand how to put a story together. Writing is hard work, and I think it sometimes behaves like an overbearing boss or an errant child. There are days you simply don’t have the strength or patience to deal. But if you want to keep your job or you want to rein in that precocious child, then you have to make some tough choices. Making time to write is one of the toughest challenges writers face. Tougher than writing a logline or a query. It’s because you are always faced with a choice of doing something else instead. Sleep. Clean the house. Go out with friends. Those “insteads” are often kinder to our spirits and therefore a more favorable choice. If you can wrangle time, you are setting yourself up for success. Over a couple of weeks, record how much time you devote. Take it one step further, and record the number of words you write each time. Do you wish you spent more time to write? Tune into your emotions and ask yourself if you’re feeling fulfilled. Some writers are perfectly content with fifteen minutes a day, while others need more. What prevents you from spending as much time as you want? Make a list of all the obstacles in your way. Be honest with your own efforts. If you know that you spend an extra five minutes on Facebook, own that. Five minutes every day adds up to … well, a lot of minutes! If that’s you, then go back to question #2—do you wish you spent more time? What could you do to positively impact your writing? Writing requires more than the act of writing. Good writers need to be well-read, engage with other writers, research their subject material, and be savvy about the industry—to name a few. Think about writing-related activities that would help you with the craft while also relieving the pressure you might feel about the physical act of writing. Here’s the deal: Making time for your writing requires a physical as well as an emotional effort. If your heart isn’t into upping your game, then adjusting your schedule will not make a difference. Every writer will have an approach that works best for them, and you have to find your own best process. Even before you get going on that, you really need to make a commitment, a pledge to your craft. Part of this pledge requires identifying yourself as a writer, but the other part is having a clear understanding of your writing intentions. If you want to add writing into your life with the intention of finishing a project that you can share with others, then what kind of a relationship do you think is required, in terms of time? Again, your answer will be what fits your life best. But it’s an important piece of the puzzle. The process needs to lead appropriately and logically to the end result. Someone who wants to become a doctor isn’t going to spend time going to school for law, right? But he might spend some of his time reading medical journals to learn what’s new in the field. A kid on the football team will spend his free time practicing football, not knitting, and he might spend some time in the weight room to bulk up. Similarly, a writer who is inspired to craft a story with the intention of publishing it someday shouldn’t spend all of her free time playing video games. She could, reasonably, spend some of her free time reading handbooks on the craft or joining a writers group or even exercising—activities that positively impact her writing. The bottom line, though, is whether or not you WANT to make the time for your writing. Creativity always starts with passion. No one is going to sit you down and give you whatever you need to create your project. All of that comes from within you, including how much time you spend. Do you want to make time to write? What are some ideas you have to make that happen? I don’t have a daily writing routine, though I do have a day off once a week which is for concentrating on all things creative – any other writing time is a bonus! What a great idea, Andrea. Sage advice. I don’t know about making time to write but I do know that the only way I will get through my book stash is to diligently read about 8 to 10 pages every night before I sleep. It’s amazing how quickly the pages add up! I think you’re wise, Gallivanta. My TBR pile has gotten to the point of haunting me–there is simply not enough time to read everything I want to. But a dose of 10 pages a night at least helps you chip steadily away! It really does help. In 2016 I got through 16 books, and this year I have read 18 so far. That’s only about 10% of what I would like to read but it’s better than nothing. 18 so far this year! That is really impressive! I continue to be amazed by that 4am wakeup call – so impressive. You are definitely right about carving out time to write; without the goal and determination it remains only a dream. And the pizza. Don’t forget the pizza. Such very good advice, especially as I am focusing on using November to break the writing back of my second book. That’s why I find NaNoWriMo such a great tool for writers, even non-fiction authors, for one’s dashboard really does keep reminding you of a) how far one has gone, and b) what one needs to do each and every day! Social media continues to be the main competition for my writing time. It’s easy to say “stay away from it,” but authors need to use it as a means of promotion. And I don’t mean going out there and tweeting or blogging about our work–that should actually be the least of what we do promotion-wise. I mean interacting with others online. Visiting their sites, seeing what they have to say. While this is enjoyable (which is why it’s so easy to procrastinate with it…), it can easily steal the time we had set aside to write. So I’m constantly searching for that balance. I hear you, Carrie. I have yet to figure out how to do enough of one to sustain it while not adversely impacting the other. I have yet to learn of any true solutions, but I comfort myself in knowing I’m not alone in this. I will say that I concentrate better in chunks of time that are two hours or longer. I try to break up my important duties, like personal writing, freelance work, and social media in two-hour or three-hour blocks to make the most of it. If I only have about an hour at hand, then I do menial chores like dishwashing or anything that doesn’t require too much of my brain! That helps, but it’s not foolproof! That’s what I’ve been trying to do too, but sometimes I slip into my old ways and ‘peek’ in on Twitter or check my emails during my designated writing block. Bad Carrie, bad. I would love to write more. I have a plate full every day, though. But I’m sure I can make it work. I can cut out time spent on social media and can wake up earlier in the day. These are some great questions to ponder. I keep saying to myself that I want to be more serious about my writing. It’s about time I started acting like I want it more. I literally just finished scheduling a post about this topic! You hit it right on the head! Your questions are spot on to where I am right now in my writing life. Thank you for asking them! 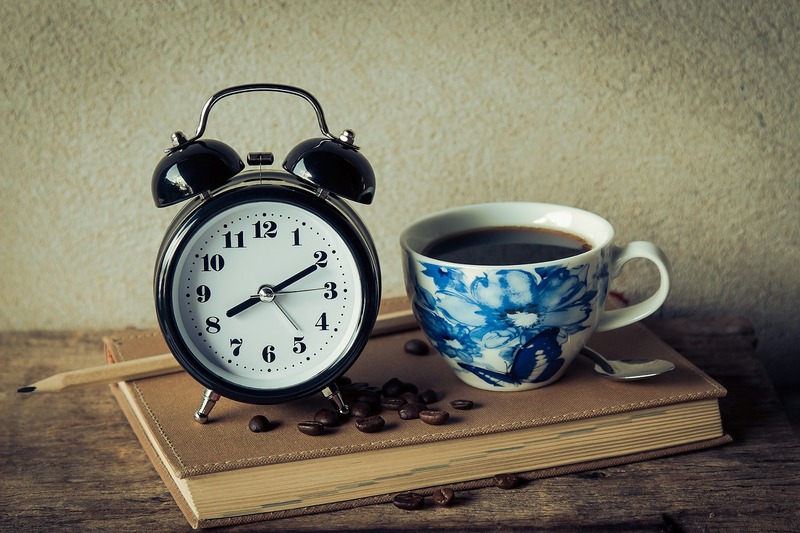 I have the time to write, preferring to be at it early in the morning [more like 6:30 a.m. not your amazingly early hour] and I’ve found that interruptions only enhance what I’d doing, not subtract from it. I can stop and start as need be. But what I find that slows me down is that my body gets tired of sitting long before my brain says it’s finished with whatever. And once my back hurts or my eyes cross I’m done for the day– intentions be darned. Ally, I need some of that focus! I consider you to be quite lucky in that interruptions don’t negatively impact your writing. I used to be like that, but I don’t know what happened–if it’s lack of confidence, age, wear & tear, or declining passion for project, but I am easily knocked out of my writing zone if I’m interrupted. Yeah, my body can’t keep up with my creative energy either. That’s really frustrating. My ability to focus is an unintended consequence of living in a co-ed party dorm when I was in college. My girlfriends wanted to live there, so I went along with it even though I was studious. I learned how to focus, despite interruptions, in the middle of noise + chaos. It might be one of the best things to come of my college education! Sounds like a plug for co-ed party dorms! 😉 Maybe we should make one for writers, specifically. Writers know how to party. Am reblogging this to Routine Matters. Excellent post. Hello Kate. Just wondering where you are in the world. I’m guessing USA. I’m sitting at my table in Scotland and it’s 11.45 AM so what time is it where you are ? Hey Chris! Yes, I live in New Hampshire (northeastern part of US). I think you are about 5 hours ahead of me. Likely you are fast asleep as I write this, which I should be off doing soon too! Ah … it must be 5 hours difference as something on WordPress converted 11.42 AM to 6.42 AM. That’s neat. Oh wow, very cool that WP converts the time for us. I never noticed that before. What is the weather like in Scotland this time of year? I have family that live in England (Kent area), and I think their weather is a bit like ours right now–gearing up for winter. Oh, the weather in the west of Scotland is about 8-10 degrees. I was living in Corfu last year where it was 25 degrees in November. Followed you here from Chris White’s Routine Matters. Wonderful. I can always trust that man to lead me to the best bloggers. Thank you! So true! Ironically, it wasn’t until I got through those very difficult “growing pains” as a mom that I began to feel I could handle writerhood. 🙂 I love being able to find an hour to relax reading other blogs as that is my main source of writing inspiration. But that hour is really elusive because it’s more of an indulgence, isn’t it. Yes–getting started is half the battle! Once I get going, the dread melts away and I’m caught up in the zone. Then I hate abandoning whatever project I’m working on. What a nutty cycle! Thank you so much for stopping by and your thoughtful comment! Just like Chris at Bridges Burning, I found you through Chris White. Thank you for this inspiring post. I get carried away with writing for a few days and then life interrupts and I miss a few days. That means reading from the beginning to get myself to the right point in the story. But 4 am is rather beyond me. As a retiree 10 am-12 noon is my time. Interruptions tend to yank me out of my zone, so I know what you’re talking about. And missing a few days of writing might not sound like a lot, but it really is, isn’t it. Getting back to that place takes twice as much time with all the re-reading and reminding yourself where you left off. Thank you so much for swinging by and commenting! Thanks Kate. I am following you and thank you for following me. I hope we both find things of interest over the coming months. Making progress on my journaling has been the biggest factor leading me to fallow my commitment to writing. I now mix in appreciation, values and affirmations. This helps generate positive thoughts while writing. Not a bad combination huh? Recently I printed out a form that acts as a “contract” for when I have writing scheduled everyday. Having a visual cue reminding me of the commitment has been helpful. The form I used is from james clear’s website called “the pros commitment”. Journaling is a great method for building up the desire to write on a regular basis. I think it might be because there is less pressure in figuring out what to write–you pretty much know already! So funny, I have a Writer’s Pledge on my website, which writers can sign. It’s meant to help writers think of themselves as writers (identity) so that they are more able/willing to devote the time to the craft. Thank you for this post- and for your blog! I am so happy to find it. I am just starting to write again after a long break. I love your suggestions on how you make writing a priority as a mom. That’s a struggle for me and I know I must be intentional and disciplined. Thanks for your inspiration! So glad you found the post inspiring. Self-discipline is probably the hardest behavior writers must master, as no one is going to force us into the chairs to write. We have to do it ourselves, which means we have to want this gig pretty darn bad! 🙂 I have gone through a lot of trial and error to reach a place of relative productivity, but everyone has to find their own best process. I know you will find yours–just keep plugging away! I began a book about 5 years ago and abandoned the idea because of taxation and that I’m an American living in England (we have to be extremely careful about receiving ‘any’ money from the States==especially publishers). Recently I just handed over the story concept and premise to a friend who wants to do a screenplay of it (he can have the money, I don’t care). Writing a travel blog and photography seem to be releasing any creativity that’s left (though I do get bored and go stir crazy on occasion). All creativity has it’s ups and downs. oddly enough I found I could create a brand, or design, best between 2 and 3 am. I didn’t know that Americans living in England had to watch their financial situation like that. Very interesting. Does the same hold true if you were to self-publish? I’m just sorry that you have to give up your book idea! I love travel blogs, because I cannot travel as much as I would like nowadays. However, I hope to have more freedom once the kids have their own lives. Traveling is how I’d like to spend that time. Creativity has its own mind sometimes, no doubt, and I suppose we must answer its call, even if it does mean it’s at 2 or 3 am! Yes! I so remember the frustrations of an extra-early wake-up call and then not being able to get back to sleep after that … oh my goodness! Make lemonade out of lemons, is that the saying? If we can’t undo the annoyance then let’s find a solution to make the most of it. For me, it’s a struggle between social media, freelancing, family, and the crazy insane day job. There must be more time for writing in there somewhere though. Thank you for inspiring me to find it! Happy Thanksgiving!